Now relegated exclusively to everywhere but here, the compact turbo Diesel truck once showed some promise on our shores. You could even get a Ford Ranger as a turbo Diesel! And now look at us; the only Diesel trucks available practically come plastered with stickers from ice chest manufacturers, mud tires stretched over 22-inch wheels, a lifetime supply of flat brim hats, and the ‘Carolina Squat’ lowered rear stance. 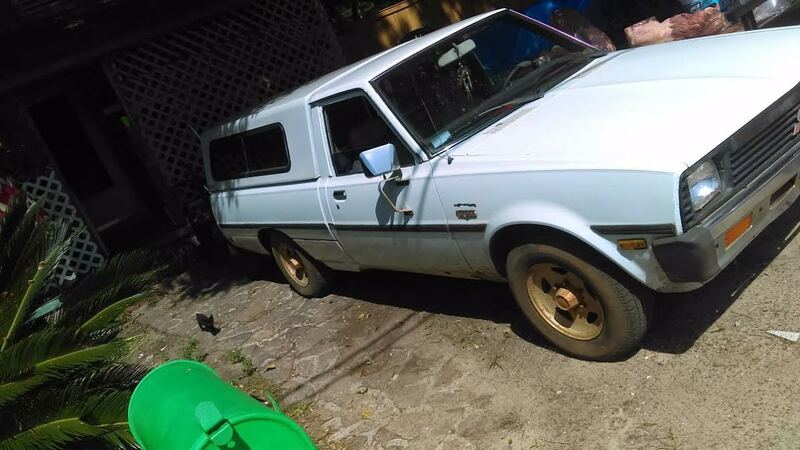 Get back to the basics of forced induction compression ignition with this 1985 Mitsubishi Mighty Max Turbo D on Miami craigslist for $3,200. This post is part of DT's 2016 Birthday Celebration of 100 cars; enjoy the ride! Shout out to Bowling For Soup and their song 1985. From the Astron II to the Turbo D, Mitsubishi always had nefarious sounding engine naming conventions. The Turbo D was not really all that much more powerful than regular D’s. 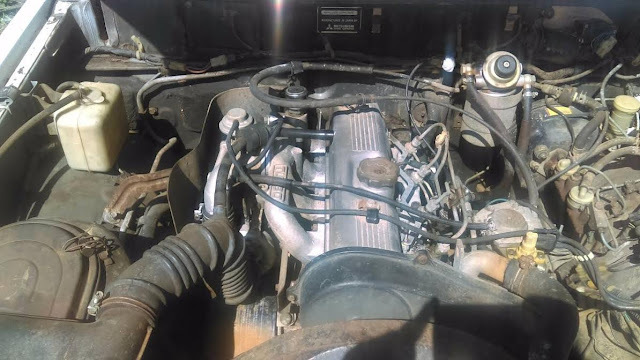 At only 84hp, it was sure to not do 4 wheel burnouts while ‘rolling coal’ but it was sufficient for the time for bumbling around town and providing fodder for mileage bragging. The grandad-spec camper shell is a piece that would be nearly impossible to find, yet also nearly impossible to get rid of if you needed to. The body looks a little crunchy but not too bad. The value of turbo Diesel Toyotas, Nissans, and Rangers far, far eclipse their spark ignition contemporaries, however, $3,200 could still be a stretch for this one.